This device works in a similar way to the superior slide and negative to digital picture converter that I wrote about the other day. 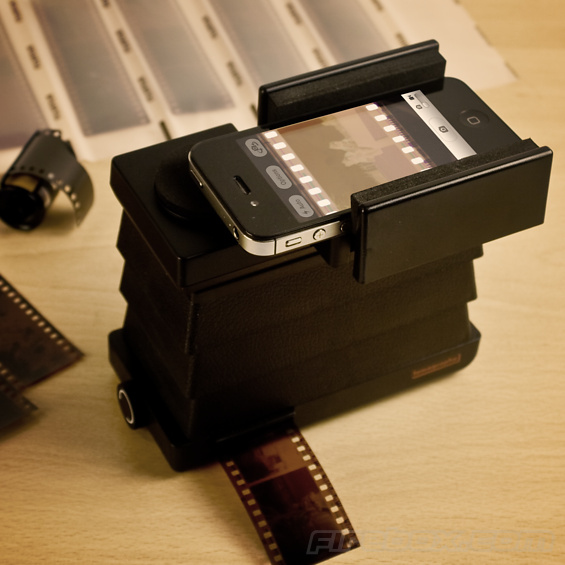 However, this particular version uses either an iPhone or Android phone to capture the images. As the post title suggests, it is also incorporates Lomo technology. The app that is free to install on the iPhone and various Android smartphones allows you to capture the negatives. The negatives are backlit so that the iPhone can capture colours correctly. The app then converts the images as needed. The device costs £59.99 and is available in the UK from Firebox.